From the day Bill Breckenridge started Breck’s Paving & Sealing in 1957 our focus has been on installing and maintaining quality asphalt. Despite our humble, family-oriented beginnings, we have focused on establishing a business that builders and homeowners can trust. Our repeat-customer base shows us that trust is still appreciated and more than an old-fashioned idea. But we didn’t do it alone! We credit our success to the staff and crew who have been with us for the long haul … some more than 30 years. Decades of consistent reliability, company growth, and perfecting our process has made us a leader in the asphalt industry. Integrity is the cornerstone of our organization and has been since we were founded in 1957. Our integrity means you will get uncompromised quality, expertise and professionalism. As a result, Breck’s Paving has maintained quality relationships that have kept us in business for over fifty years. We consider these relationships the most valuable part of our business. We have been and always will be committed to providing our clients with an unparalleled level of quality, service and integrity in the industry. Breck’s can take care of every aspect of your paving job—stone work, base, asphalt and top coat. And recently, we have continued to grow by adding advanced equipment and hiring new employees, leading to faster response times. Thanks to our employee teamwork and equipment supply, Breck’s has been known to complete as many as 15 driveways in a day. We have experience in all types of paving, from roads to commercial projects to driveways, specializing in the latter. Breck’s works regularly with builders like MI Homes, Trinity, Rockford Homes, Maronda Homes and Virginia. 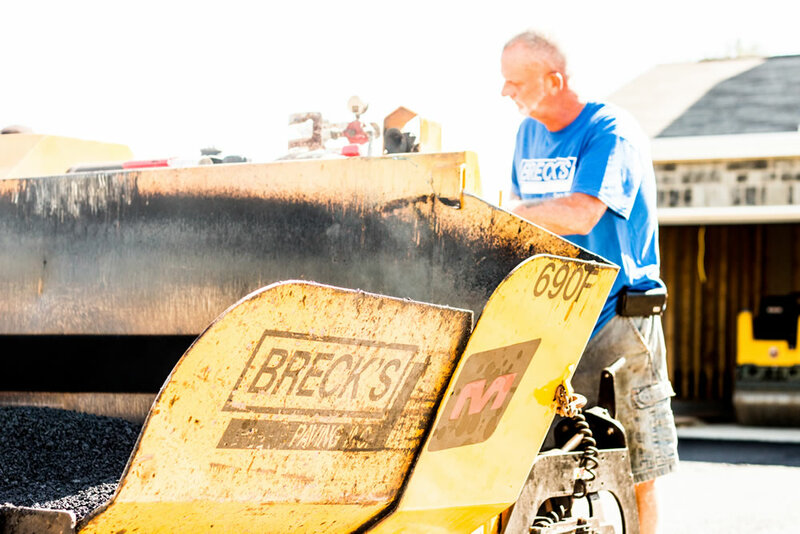 Whatever your paving needs, you can count on Breck’s, one of Columbus’s oldest and most trusted paving companies, to get it done quickly so you can move forward. We’ve been working with Breck’s Paving for as long as I can remember. Their quality and responsiveness is second-to-none. Because Breck’s focuses on builders, they understand our need for the job to be done right and on time. Copyright 2016 Breck's Paving. All Rights Reserved.